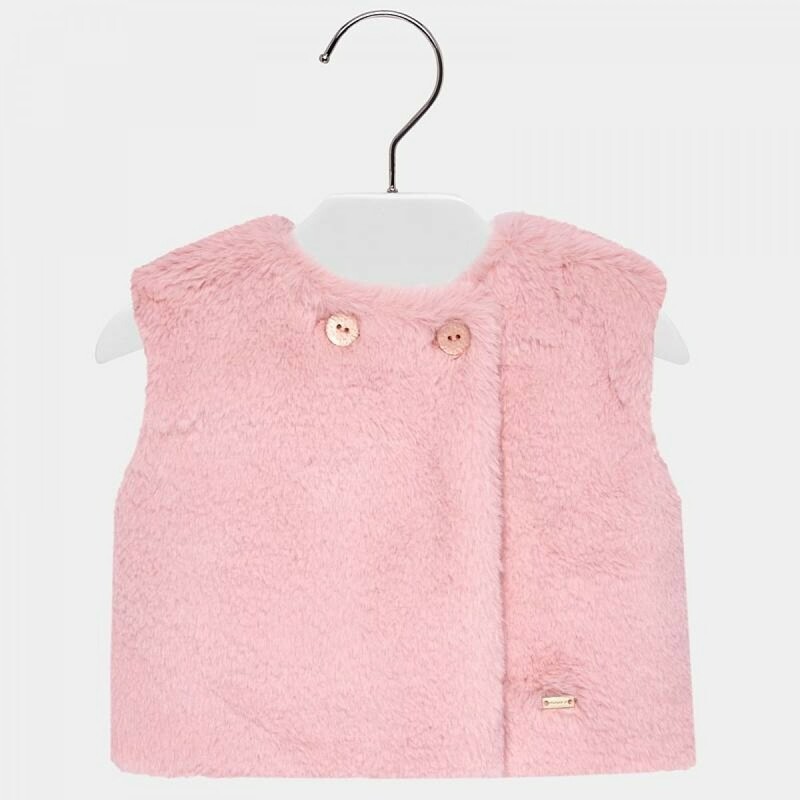 This wonderful faux fur gilet is one of our favourite pieces of the season. Beautifully designed by Mayoral, it's a piece that's full of style and quality. Easy to wear but overflowing with style and elegance, it's a classic Autumn accessory your little one will never get tired of wearing. This one is full of glamour - she'll look amazing while staying warm and comfortable. It's perfect for styling it up during the crisp days of Autumn but just as easily teamed with warm weather clothes during Winter. The detailing is stunning - we love the quirky yet effortlessly stylishly design.